“Being selected as an ambassador of the 5C project and participating in the closing part of AltcineAction! 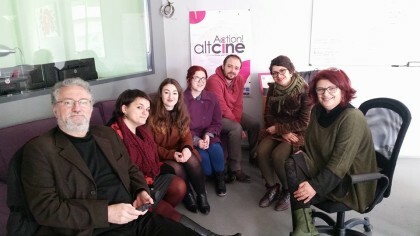 festival in Athens was a great opportunity to reconnect with film professionals from the Balkan region and to discuss Balkan cinema in its authentic environment. It was extremely important for me as I am currently working on the promotion of Balkan cinema abroad and it is always useful to exchange ideas with people working towards similar goals. From the educational part I mostly appreciated the masterclass and workshop with Olympia Mytilinaiou as she pointed out possible approaches to film analysis from the cinematographer´s point of view. This is rarely thought in Film Studies programs thus makes the educational panel of the 5C Project unique and revolutionary.